It’s always tough to the find the best beer to pair with an evening at home with The Notebook. Do you go with a gose to match the saltiness of your tears? Or maybe an Anchorage Brewing Co. Love Buzz Saison to fuel the romance? Thankfully, there’s no reason to debate the options anymore because Evil Twin—the gypsy brewing outfit known for iconoclastic beers like Soft Dookie and Even More Jesus—has teamed up with wild-ale specialists Crooked Stave to release Ryan and the Gosling, a Brett-fermented pale ale with citrus peel and Citra hops. 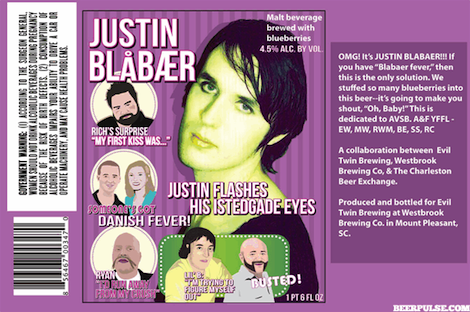 At any rate, we hope to get our hands on one of these bottles so that we can serve it with the Evil Twin x Westbrook Evil Twin Justin Blåbær at an all-heartthrob tasting.